Stir Krazy Kids Will Be Back In 2018! Hello all Stir Krazy Kids and Parents! As many of you know, we have offered our cooking and baking workshops in the run-up to Christmas for the past few years. However, we are sorry to announce we are unable to run them this coming December 2017. This is due to a couple of fiddly logistical reasons. The main factor is that school holiday dates vary between schools this year. Some break-up on the 15th December while others break-up on the 22nd December. This means there is unfortunately not a single week in the run-up to Christmas that would suit all local families. Additionally, the majority of our Stir Krazy staff are full-time educators during term-time, so many of them too would still be busy in lessons! Secondly, schools tend to close down over the Christmas period as all the staff, quite rightly, also go home to enjoy valuable time with family. As our sessions take place in school kitchens, this makes access a tricky consideration. 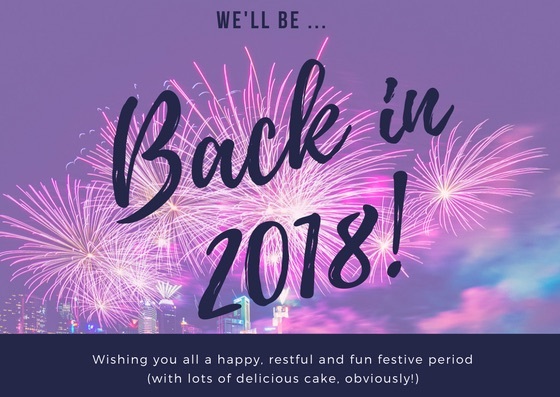 However, we will of course be back in 2018 with even more delicious recipes, foodie games and creative crafts for all your young chefs to get stuck into. If you are not already, please do sign up to our newsletter where you will be the first to hear of new dates announced (often with an Early Bird discount!). Best wishes for the Christmas season from us all here at Stir Krazy Kids and we very much hope to see you again in the new year! Thank you for your continued support. Newer PostFebruary Half Term 2018 Workshops - Now Available!